Irreplaceable, anise-flavoured variety used in Asian cooking on a compact plant that is equally as ornamental as it is culinary . 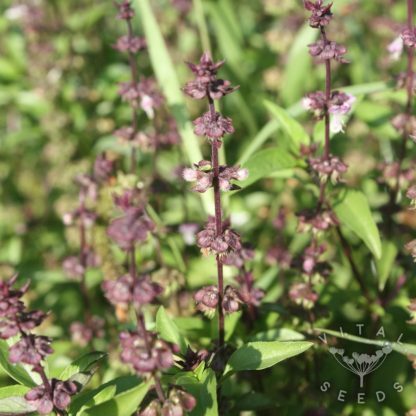 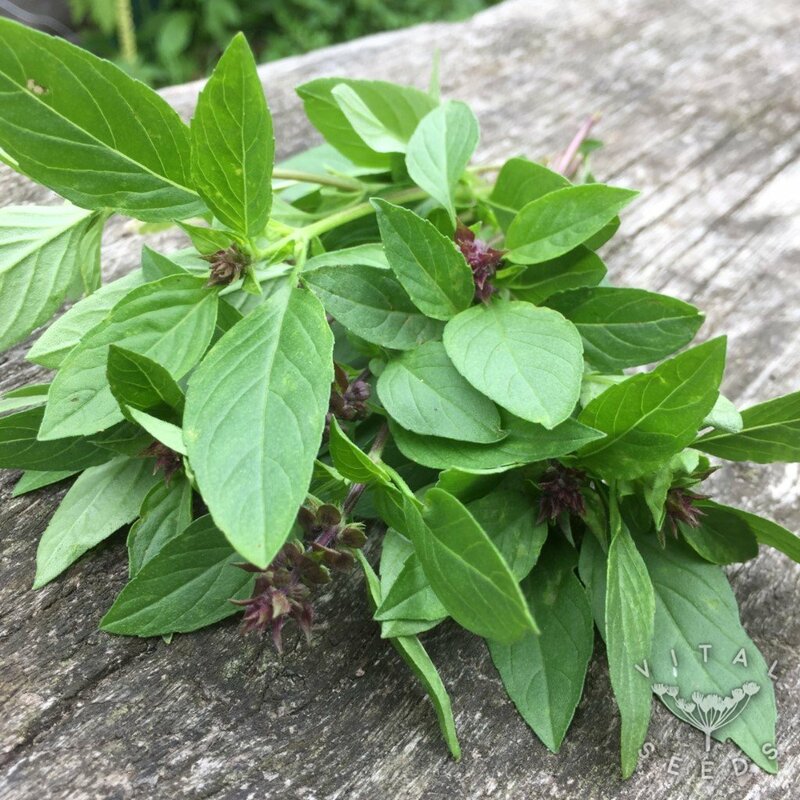 Striking, both in flavour and appearance, Thai basil has a more concentrated, spicy flavour than it’s more well known cousin, with anise and liquorice notes. 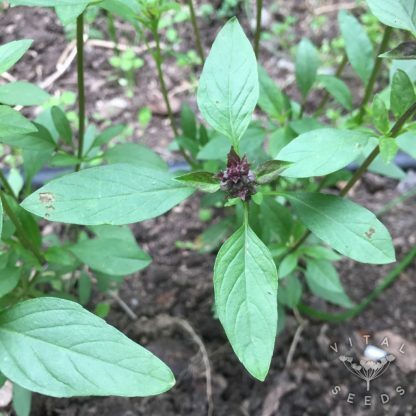 It has smaller, narrow, pointed leaves with flowers and stems of deep purple. 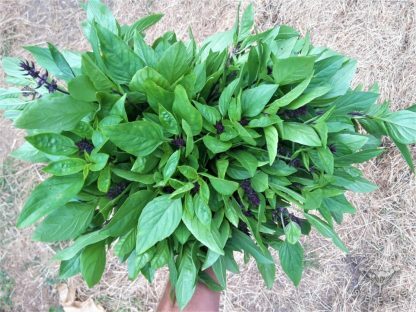 Perfect for Thai green and red curries and stir fries and is more resilient to longer cooking methods than green basil.